Have you ever been to a restaurant that has so many options, even too many options, on the menu? Do I want the chicken parmesan? Or the pork tenderloin? That salmon salad sure looks good. Then you turn the page and see dozens of other promising choices. It can be overwhelming and turn what should be a nice meal out into a spaghetti bowl of decision making. As 2018 wraps up, your thoughts may turn to where you would like to share your generosity this year. We are fortunate there are so many great nonprofits in our region. But just as in a restaurant with pages and pages and pages of options, sometimes so many choices can actually keep us from making a decision. Do you have any causes you are passionate about? Why? Do you know of a community need that you would like to help address? Are there any promising opportunities in your community that you would like to make possible? If you could solve one problem, what would it be? What do you treasure most about your community? 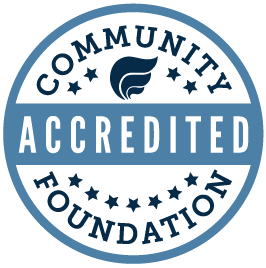 The Quad Cities Community Foundation and our Geographic Affiliate Funds have grant committees that are tuned into the needs and opportunities for your area, and each have an unrestricted endowment fund (often called a Community Impact Fund) that provides flexible, dependable support for the Quad Cities, or a community in our larger region. To get started, call Calder at 563/326-2840 or email her here.